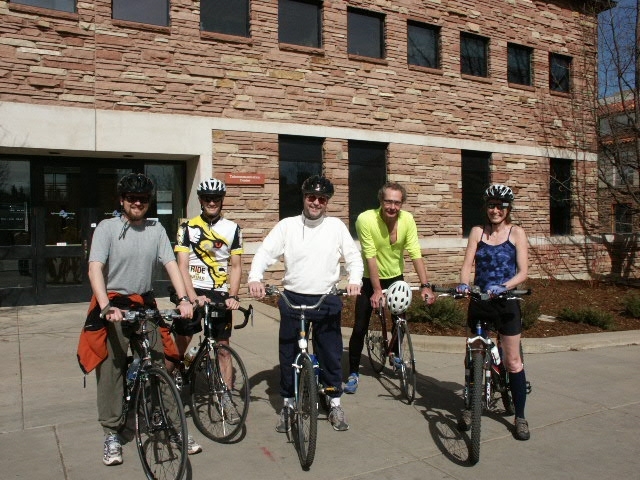 Flagstaff Frenzy - Our Inaugural Ride! Fueled by spite, Mark powered his way to the top of Flagstaff today. Bystanders with whom I spoke afterwards said they heard Mark uttering strange things under his breath on his way up the hill— things like: May the offspring of a thousand fleas infest the armpits of those who doubted me. It would not surprise me either, for the almighty Flagstaff has reduced others to speaking in tongues, leaving them teetering on the brink of madness. There were only five brave souls on the mountain today, and while their mental faculties may have temporarily escaped them on the way up, they were quickly regained on the euphoric descent. For those of you who doubted, watch your armpits...and don't act like you don't know who you are!